Are you a Kevin Kwan fan? My brother-in-law put me onto a great talk he gave at Google that touches on everything from writing a novel (he had a completely different career beforehand) to the lack of cultural diversity in Hollywood. This is so cool - more inclusive ways to talk about gender. "Instead of ladies and gentlemen, try distinguished guests." I loved this profile of Tina Roth-Eisenberg, who writes the Swissmiss blog (among many other things). Her approach to parenting is especially admirable. Whenever she has creative friends round for dinner, she helps her kids look up their work beforehand so they can ask questions! She says, "all I want to do is help my kids realise that there's so many different ways to make a living." Ta-Nehisi Coates nailing why the n-word isn't for everyone. Traybake dinners ftw! Many more here, including the anatomy of a traybake so you can invent your own. And I really, really want to make a pecan pie. I blame all of the Thanksgiving photos on Instagram. 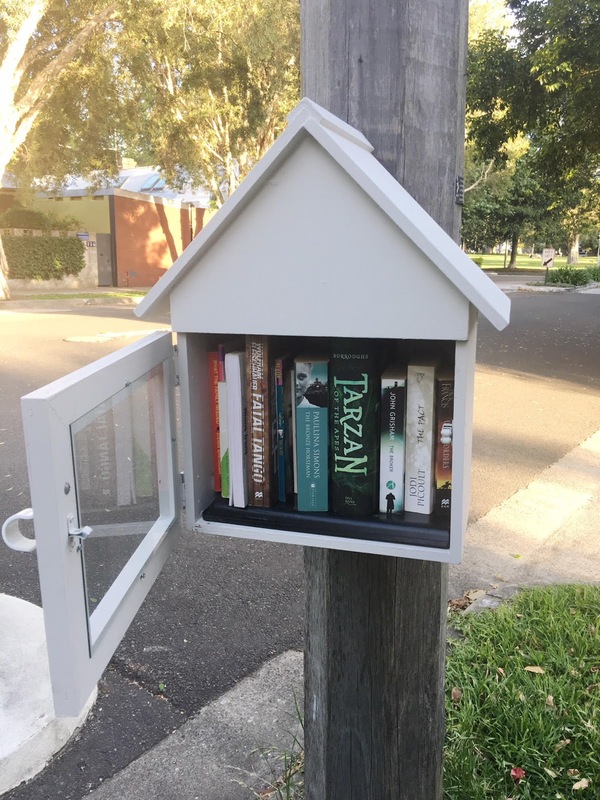 P.S We saw this cute street library in Sydney. We passed another that had two copies of Cormac McCarthy's The Road.